Properties in Schwoich average 4.5 out of 5 stars. Fantastic appartement in the middle of Austrian nature! 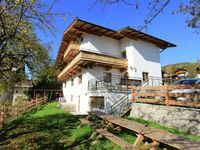 Property 3: Fantastic appartement in the middle of Austrian nature! Property 9: Detached chalet directly at the ski lift and the village of Ellmau! 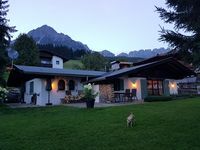 Fantastic chalet right in the center of Hopfgarten and near the ski lift! Property 15: Fantastic chalet right in the center of Hopfgarten and near the ski lift! Detached chalet in a fantastic location in the Kitzbühl Alps. Property 16: Detached chalet in a fantastic location in the Kitzbühl Alps. Property 19: This house is in a splendid location in a quiet spot above Westendorf. A detached, luxury chalet very near Kirchberg. Property 21: A detached, luxury chalet very near Kirchberg. Fantastic house with breaktaking view, in the middle of nature! Property 22: Fantastic house with breaktaking view, in the middle of nature! Property 23: Old ancestral home built in the 16th century. Detached chalet with private wellness, sauna, private cinema and bar! Property 24: Detached chalet with private wellness, sauna, private cinema and bar! Fantastic detached chalet in the middle of nature with lots of privacy! Property 25: Fantastic detached chalet in the middle of nature with lots of privacy! Detached chalet with a lot of privacy, sauna and large south-facing garden! Property 26: Detached chalet with a lot of privacy, sauna and large south-facing garden! Modern equipped house is fitted with several comforts. Property 30: Modern equipped house is fitted with several comforts. Detached chalet with private wellness and sauna, private cinema and bar! Property 31: Detached chalet with private wellness and sauna, private cinema and bar! Detached chalet with much privacy, sauna and large garden on the south! Property 32: Detached chalet with much privacy, sauna and large garden on the south! Property 35: Old ancestral home built in the 16th century. Property 42: A detached, luxury house very near Kirchberg's town centre. Property 45: Luxurious detached chalet with a spacious garden with lawn! Property 46: Superbly renovated, detached chalet with a sunny garden and lots of privacy. Property 47: This detached holiday home near the village of Ellmau and the ski-lift. Property 48: This modern holiday home is beside Austria's largest ski-area. Property 49: This detached holiday home near the village of Ellmau and the ski-lift.